South Sudan, which is officially known as the Republic of South Sudan, is a landlocked country in East-Central Africa. The country gained its independence from Sudan in 2011. The country is bordered by Sudan in the north, Ethiopia to the east, Kenya to the southeast, Uganda to the south, the Democratic Republic of the Congo to the southwest, and the Central African Republic to the west. Take a look below for 30 more interesting and fascinating facts about South Sudan. 1. With Nilotic people forming the majority of its population, the nation is also referred to as the Nilotic Republic, as a homeland and supposedly the place of origin of the Nilotic race. 2. The territories of modern South Sudan and the Republic of the Sudan were occupied by Egypt under the Muhammad Ali Dynasty, and was later governed as an Anglo-Egyptian condominium until Sudanese independence was achieved in 1956. 3. Following the First Sudanese Civil War, the Southern Sudan Autonomous Region was formed in 1972 and lasted until 1983. 4. A second Sudanese civil war broke out as well and ended with the Comprehensive Peace Agreement of 2005. 5. 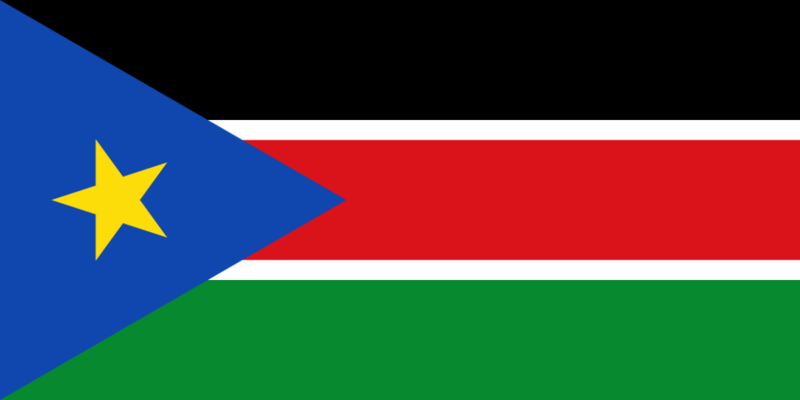 South Sudan became an independent state on July 9, 2011, following a referendum that passed with 98.83% of the vote. 6. South Sudan has a population of 12 million, with Christianity being the majority religion. 7. The country is part of the United Nations, African Union, East African Community and the Intergovernmental Authority on Development. 9. South Sudan is more than four times the size of the state of Georgia and is slightly smaller than Texas. 10. The country is made up of 10 southern-most states and is one of the most diverse countries in Africa. 11. The Sudd, a name derived from floating vegetation that hinders navigation, is a large swampy area of more than 100,000 square kilometers fed by the waters of the White Nile that dominates the center of the country. 12. The Sudd is a vast swamp in South Sudan that’s formed by the White Nile. It makes up more than 15% of the country’s total area and is one of the world’s biggest wetlands. 13. 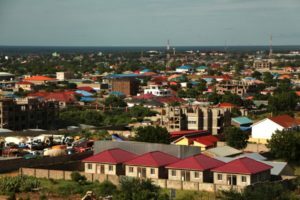 The capital city of South Sudan is Juba. The city has a population of about 321,000. 14. Dinka tribesman and marathon runner Guor Marial was South Sudan’s first Olympic athlete at the London 2012 Games. 15. Luol Ajou Deng is a 6’9” South Sudanese-British basketball player that plays for the Los Angeles Lakers. 16. On May 25, 2012, South Sudan became the 209th member of FIFA. 17. The major ethnic groups are the Dinka and Nuer, with the rest being the Shilluk, Azande, Bari, Kakwa, Kuku, Murle, Mandari, Didinga, Ndogo, Bviri, Lndi, Anuak, Bongo, Lango, Dungotona and Acholi. 18. The major languages spoken are English, Arabic, Juba Arabic and Dinka. 19. 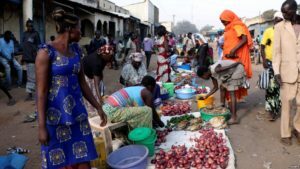 After its independence, South Sudan’s central bank issued the South Sudanese Pound. 20. Salva Kiir Mayardit is South Sudan’s first president. 21. In 2013, South Sudan was engulfed by civil war when President Kiir fired his entire cabinet and accused Vice President Riek Machar of instigating a failed coup. 22. 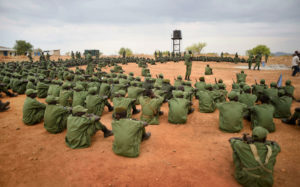 The government and rebels agreed to attend peace talks in Ethiopia in 2014, and a deal was signed under threat of U.N. sanctions for both sides in August, 2015. 23. Vice President Riek Machar eventually returned from exile to be sworn in as the first Vice President of a new unity government under President Kiir in April, 2016. However, President Kiir fired Machar again a few months later. 24. South Sudan generates the majority of its revenue from oil. Oil is exported through two pipelines that run to refineries and shipping facilities at Port Sudan on the Red Sea. 25. After its separation from Sudan, the South Sudanese government considered many names such as Nile Republic, Azania and Kush Republic. It finally settled for what it thought was the safest choice, the Republic of South Sudan. 26. South Sudan is one of Africa’s most linguistically diverse countries as it has over 700 language groups. 28. Though many ecologists travel to South Sudan, it offers basically no tourist infrastructure, no paved roads and the communications infrastructure is almost non-existent. 29. Around 83% of the country’s population lives in circular stick and mud structures that are called “tukels.” Tukels are rustic cottages that generally have no windows and thatched roofs. 30. 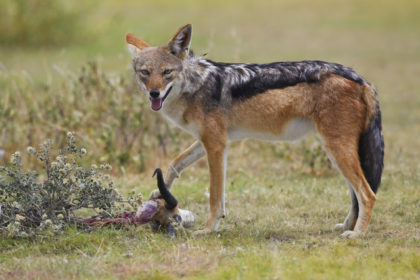 The Boma National Park, which is situated close to the Ethiopian border, is a vast expense of wilderness that’s home to wildlife including migratory herds of over a million Mongalla gazelle, white eared kob, tiang, and antelope.